Music Theory Exam – Need Help? 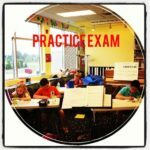 Music Theory Exam - Help starts at Training Camp! I remember writing my first Music Theory Exam (seems like just a few short years ago...lol). I was nervous, overwhelmed and stressed at the amount of details I needed to remember. And I really wanted to do my best. The question is, how do you do your best to prepare for a music theory exam? As in preparing for any special event, it's time to go to Training Camp. "Welcome to the Ultimate Music Theory Exam Training Camp!" The Ultimate Music Theory Exam Training Camp refers to the time before the exam season commences. 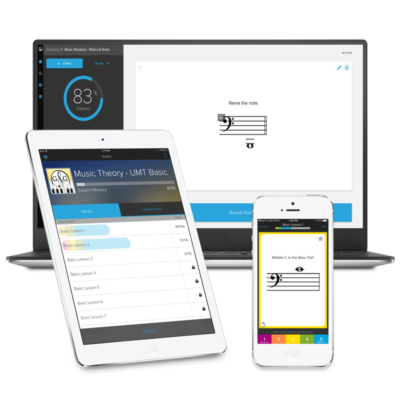 During this time, you will have reviewed all the concepts learned in your Ultimate Music Theory Workbook and concepts studied from your UMT Flashcards. Now it's time to complete other activities to prepare for the final exam. Training camp is used in several different ways. 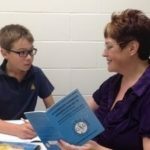 For younger students, it serves as a period of evaluation; for experienced students, it is time to round back into form. Music Theory Exam Training Camp is divided into several different components. The first is "scrimmages". These are UMT Games played to review concepts in a fun way before the actual exam. Use the Preparatory Music Theory Game Pack along with the Preparatory Music Theory Exam Set#1 and Set #2, to prepare your students for the Preparatory Exam. This gives students a super fun way to prepare for their very first exam. Complete one to two practice exams per week. First time exam students and teachers may set up a similar experience as the actual exam setting. Another part of Music Theory Exam Training Camp includes drills. The first drill is using the Basic Music Theory Game Pack. 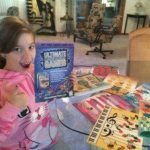 Imagine how excited your students will be to drill games at camp! Then drill the exclusive Ultimate Music Theory Flashcard App. This amazing Music Theory App is based on Brain Science. These drills help students see, hear and connect the Flashcard questions and answers quickly as they review the Music Theory Exam concepts from their workbook. 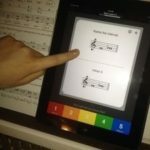 The UMT App is the ONLY music theory app that matches the workbooks. Nice! Then use the Basic Music Theory Exam Set #1 and Set #2 to prepare for the Basic Theory Exam. Music Theory Training Camp leads directly into the exhibition season of using Practice Exams to create Mock Exams. With UMT training camps starting at least 3 - 5 weeks before the "Big Exam Day", it's time to sit down and write the Ultimate Music Theory Exam Practice Exams and reevaluate the strategies of what to do first and what mistakes can be avoided by having a check list. Using the practice exams - create a Mock Exam setting. Have students arrive 15 minutes before exam time with their pencils, eraser, ruler, etc. To prepare for the Mock Exam, students must have a "road map", step-by-step checklist, of what to do first, second, third, etc. Teachers must be present during these mock exams to supervise the time given to complete each practice exam. Use the I ntermediate Music Theory Exam Set #1 and Set #2 to prepare for the Intermediate Theory Exam. Then review the exam answers (using your handy exam answer books!) to quickly and accurately mark the students exam and discuss little things that may have been missed. By creating a "mock exam scenario" you will help your students prepare for their Music Theory Exam with confidence! And give them the tools to score over 90% on their final exam. Use the Advanced Music Theory Exam Set #1 and Set #2 to prepare for the Advanced Theory Exam. Start your Music Theory Exam Training Camps 3 - 5 weeks before the official exam day. You may want to create team training camps for Preparatory, Basic, Intermediate and Advanced Music Theory Exam Teams. 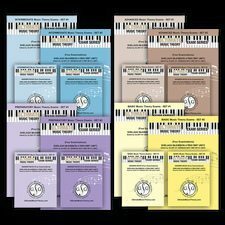 Order Your Music Theory Exam Practice Workbooks & Answer Books Today! And Receive a FREE eBook (Limited Time Offer). Have a Music Theory Exam Camp when all students write their practice exams on the same day. You may also want to have a concession at camp - offering activities such as playing the UMT Games, playing the music theory app, even treats after the practice exams have been completed to make training camp a super fun experience.